LEVIN Wines is a family-owned, certified organic winery that has been producing wine in France’s Loire Valley since 1986. David Levin MBE (founder of the five-star Capital Hotel, The Levin Hotel, Michelin-starred Greenhouse Restaurant and The Capital Restaurant, dining at Royal Festival Hall, and Visiting Professor at Oxford Brookes) began growing grapes in the Loire Valley to produce private label wines for his restaurants. Inspired by his visits to Australia to use new world technology to capture this old world terroir, David had a winery designed in South Australia and built on the estate in 2001. Today, Lynne Levin (who’s international career includes on- and off-trade, supply chain distribution and export market penetration, and in 2016 named Mentor of the Year, Oxford Brookes Masters mentoring programme) manages the domaine and LEVIN Wines’ export to 14 countries. Lynne has overseen the expansion of production to 150,000 bottles per year and the conversion to organic certification. Crisp and fresh aromas of citrus blossom, shows white peach, papaya, mango, hints of honeydew and textured minerality. Savoury with juicy, concentrated blackberry and cherry flavours, and notes of forest wood, spice, lavender and violets. Delicate bouquet of fresh strawberries and rose petals float from the glass with an elegant and refreshing palate. Refreshing and crisp, with notes of fresh citrus blossom, freshly mown meadow, green apple, honeydew and lemon on the palate. An exceptional expression of pure Sauvignon Blanc, redolent with citrus blossom, soft tones of artichoke and wild mint aromas, exotic fruit notes and refreshing citrus are underpinned by prominent flinty minerality. A deserved double GOLD medal winner. Exotic aromatics of lotus and citrus blossom with pink grapefruit and elderflower, a wine of excellent acidity and length and texture that will become a classic wine from a challenging vintage. Vivid pink in colour, with aromas of frais de bois and rose petals and hints of spice. Made from 100% Gamay, the palate is long and savoury with flavours of red berry and rose petals with crisp, flinty acidity that refreshes the palate. Deep ruby red, with aromas of lavender and violet, cherry and chocolate, with some savoury forest characters. The palate shows cherry and red berry characters, butterscotch and spicy, earthy flavours with a silky texture and excellent length. An exceptional sauvignon, barrel fermented and matured on lees for ten months from the 2012 vintage grown on the Choussy vineyard. The nose has delicate toasty aromas, with elderflower, citrus blossom and hints of exotic fruit. The palate is long and textured and layered with citrus, lotus, white peach and subtle, exotic mango flavours underpinned by characteristic minerality. Our best vintage of Mr L from our Choussy vineyards, a fitting tribute to Mr L’s 80th Anniversaire! Made in the exceptional 2011 vintage, from the old Gamay vines (37&45-year-old) in the original Choussy vineyard, it was carefully handpicked and sorted, before gentle foot-treading in one and two-year-old Seguin Moreau barrels, where it was fermented then matured on lees for nine months. Silky and savoury, it’s talcum powder tannins, forest berries and red orchard fruits are lifted by characteristic violets, star anise, cocoa, with a fine acid spine driving its excellent length. The Levins are committed to the complicated organic certification (in both winery and vineyards) because their experience is that by excluding artificial interventions and nurturing a healthy ecosystem, their vines are more resilient, grapes are more complex, and the resulting organic wines are more nuanced in both youth and maturity. There are 20 hectares under vine with 19 organic vineyards situated in Touraine across in the Vallée du Loire-sur-Cher in Bourré, Choussy and Oisly. There are three main soil types. In Bourré, Tuffeau terroir (marine sedimentary limestone formed ~100 million years ago) mixed with loose and flinty clay, mica and sand builds of texture and minerality; and Silex (~65 million years old) flint terroir stores and reflects heat, producing restrained, linear, gunflint-mineral wines with acidity and spice. Choussy and Oisly vineyards are both on sandy topsoil sitting on top of a thick layer of excellent smectite clay adding the varietal flavours and aromas. 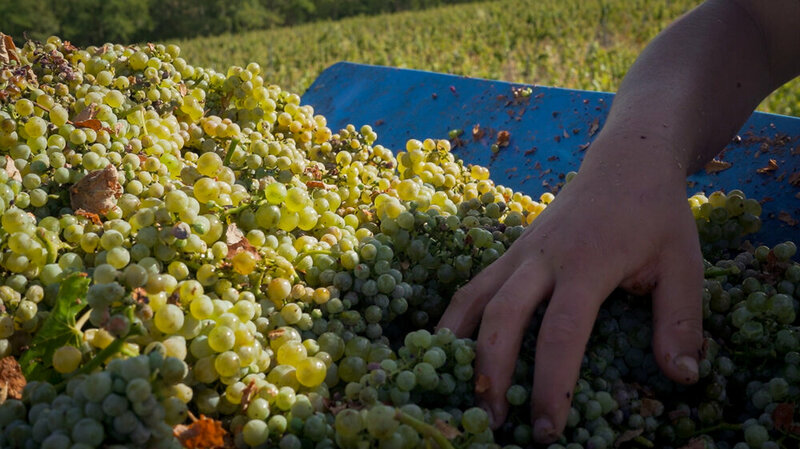 The wines are grounded in the Loire Valley terroir, using modern, organic winemaking and organic and biodynamic viticulture practices – to pursue a pure expression of Sauvignon Blanc, from its original home, the Loire.